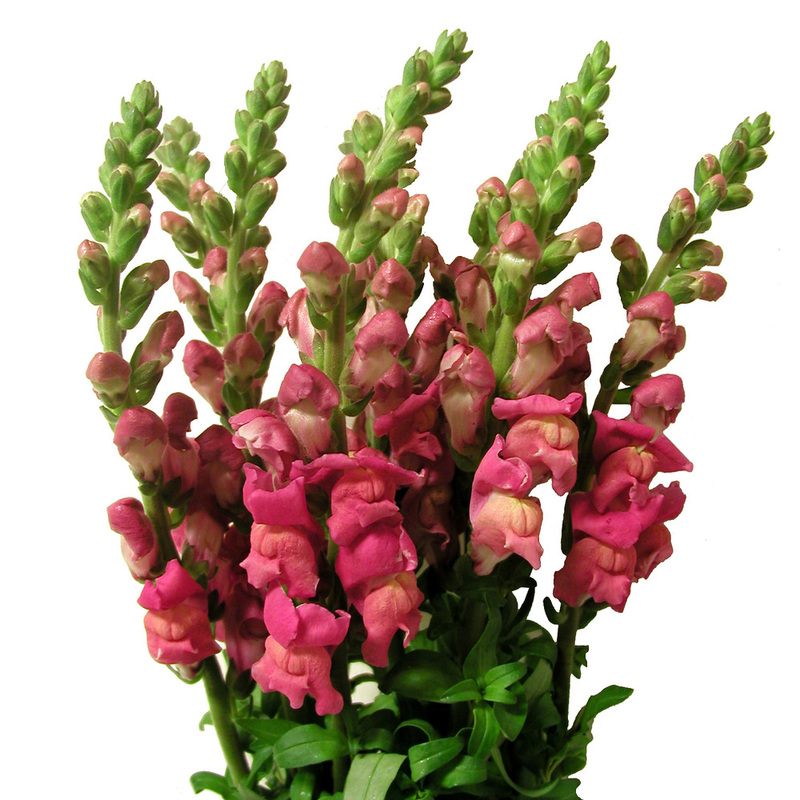 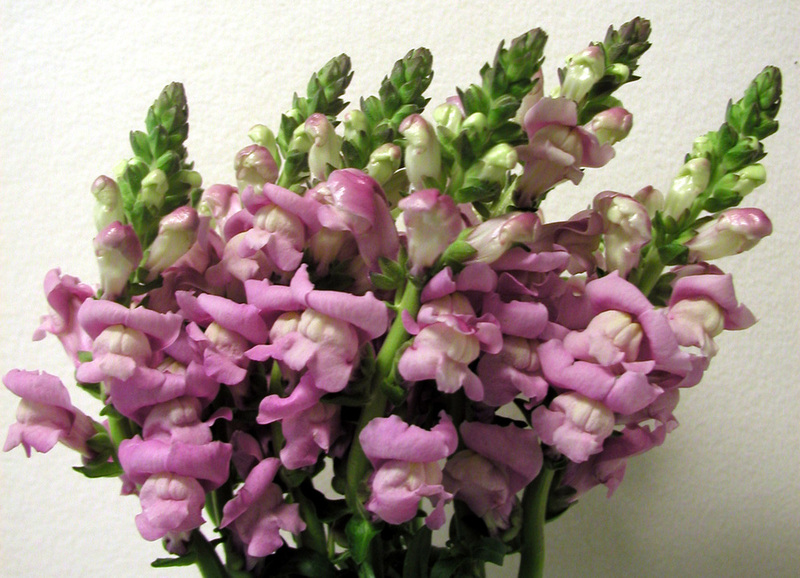 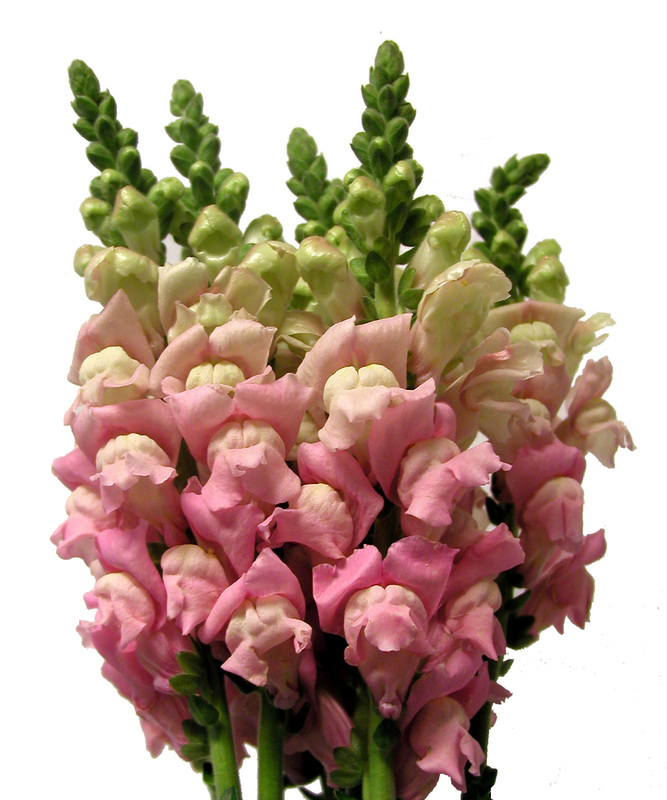 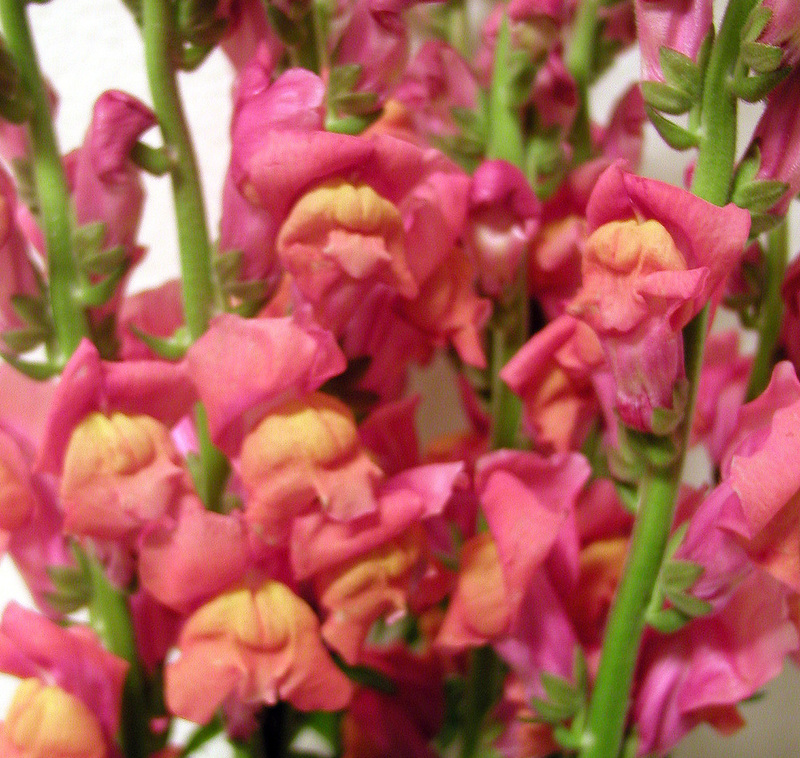 Snapdragons are so impossibly cheery and colorful. 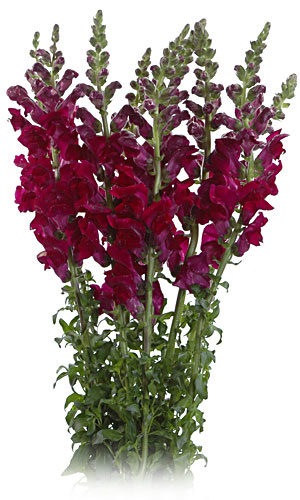 The tall stems embellished with velvety florets make a spectacular focal point in arrangements. 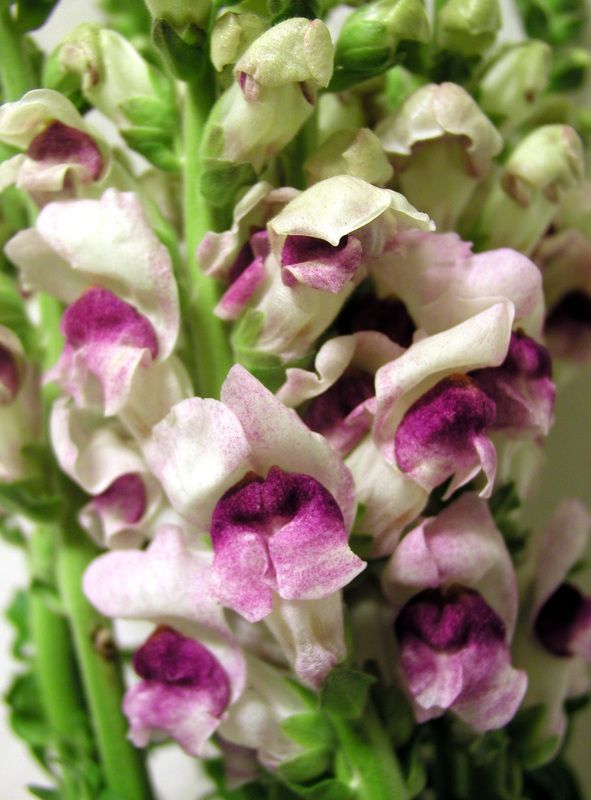 Their florets are traditional "dragon jaw" type – they appear to have upper and lower lips.